Family mediation involves the mediator (an independent third party) helping those involved in a family dispute to resolve their problems and get their lives back on track. The process is managed by the mediator but the issues to discuss and eventual outcome are decided by the parties themselves. Although the process is managed by the mediator, the topics for exploration and the final decisions made are determined by the actual parties. In this way, family mediation gives the parties the chance to keep control of their own affairs and reach joint decisions that suit their own specific needs. We at Align Mediation understand the emotions that often underlie family conflict and believe that allowing the parties to decide the outcome for themselves is of real importance when they come for family mediation. 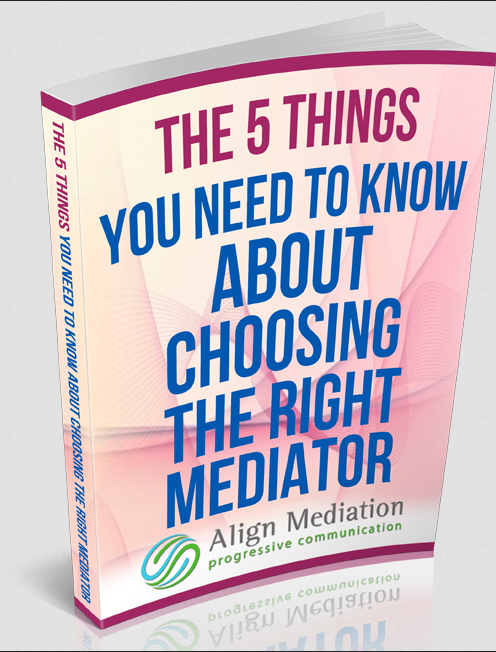 It is particularly important that the choice of mediator is the right one in a family dispute given the personal emotions that are involved and we believe we have the right people for you to choose from on our independent panel. If you find yourself in a family dispute and want it resolving in a quick and cost effective manner, you’re in the right place – feel free to contact us today on either of the numbers above. I'm the case manager here at Align Mediation and I'm here to help. Please give me a call if you have any questions or would like to find out more about our mediation services."